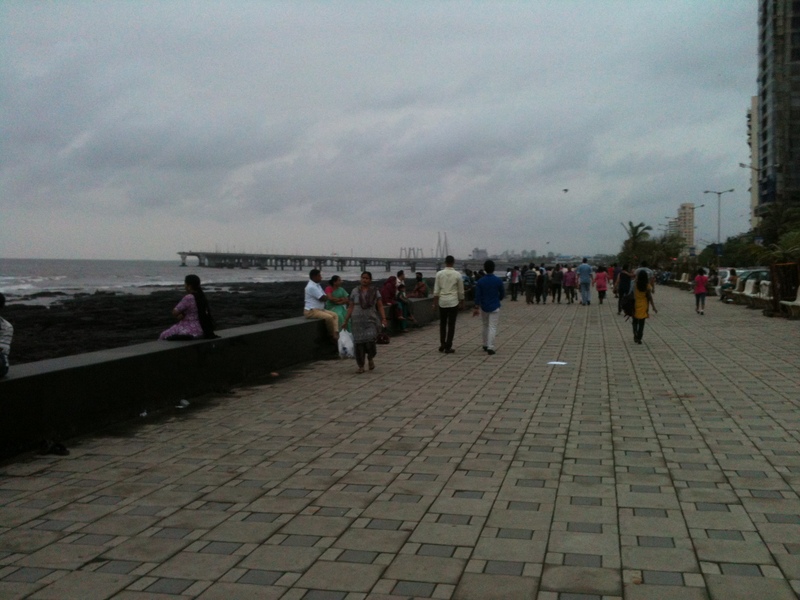 Worli Sea face is a stretch on the sea side with cobbled flooring. The stretch is about 3.5 kms in length. 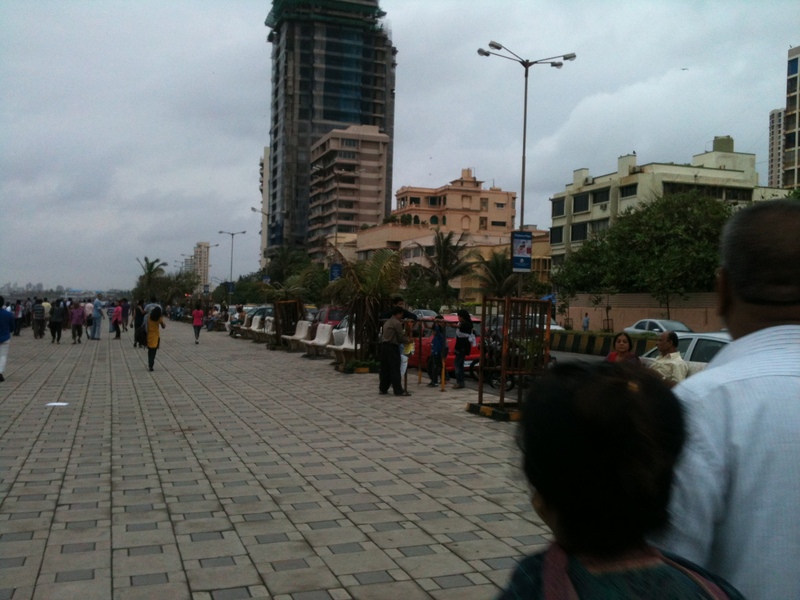 These kinds of promenades are one such feature specially in Mumbai. A city that is landlocked these kinds of public features help the people to decompress and destress. This promenades are built at the right contradictions, also literally….looking into the endless horizon and comtemplating whereas you leave behind the tall storeys and busy life. Somewhere in between you desire to stretch, be alone and blank for a while, before you tune back into the rapid pace of this city. This is an excellent place for morning and evening walks. This long and straight walkways is probably saving several of its visitors from urban and lifestyle diseases. 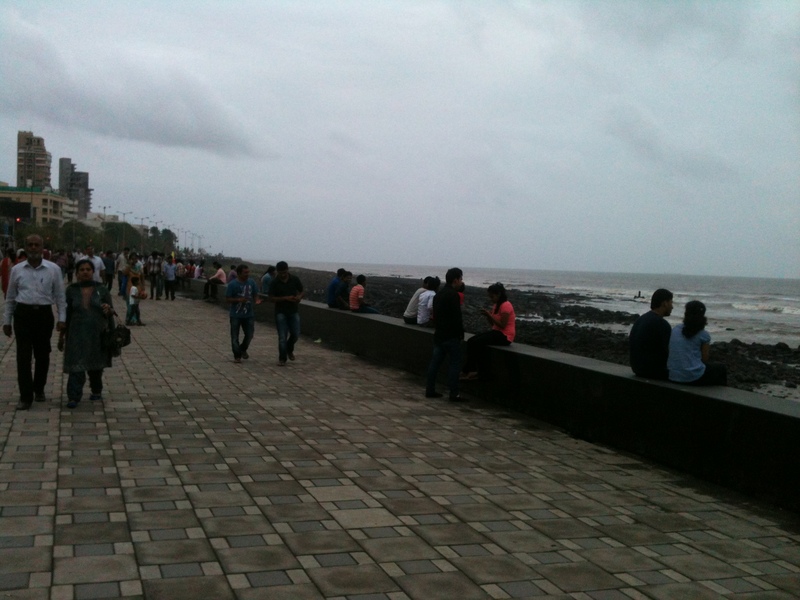 I have not been here at the monsoons, but many of my friends specially come here to watch the tidal waves rise and dash along the front. The waves are known to rise as high as 10 metres. The one good thing about this place is that you don’t have to find parking, its always available along side the walkway. Secondly this entire area is hawker free, barring the few balloon and ice cream sellers. You can see several college going kids with their gang, giggling all the way to glory. 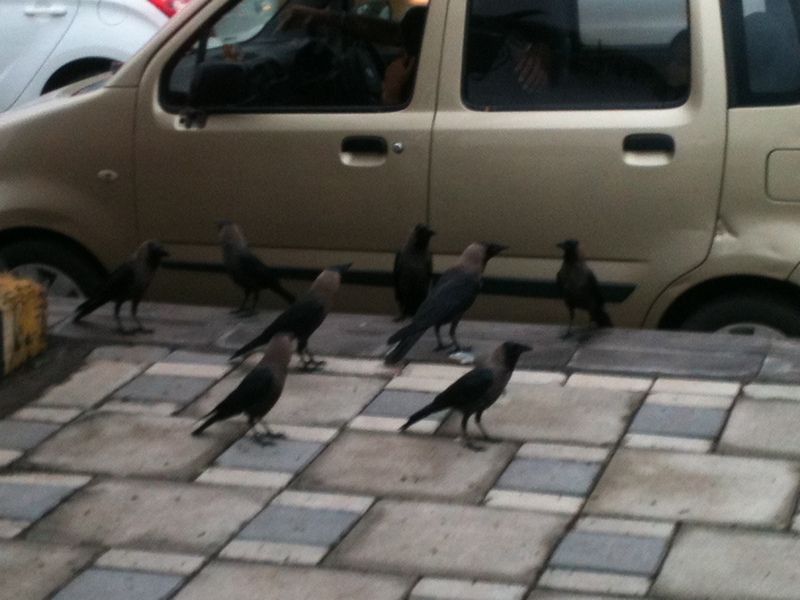 Many love birds finding alone-time in public. Kids are playing and laughing hysterically as if the winds are tickling them. This is also a joy. 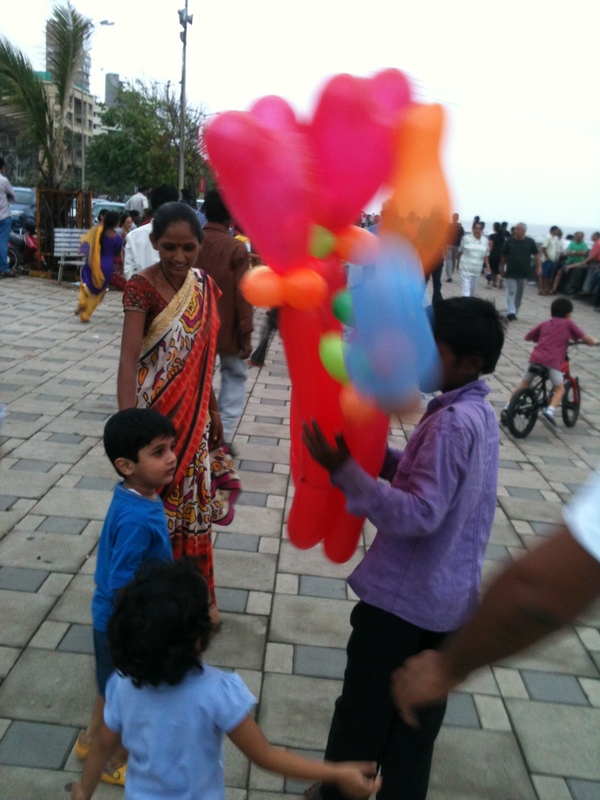 Balloon vendors strategically stand right in front of the kids. 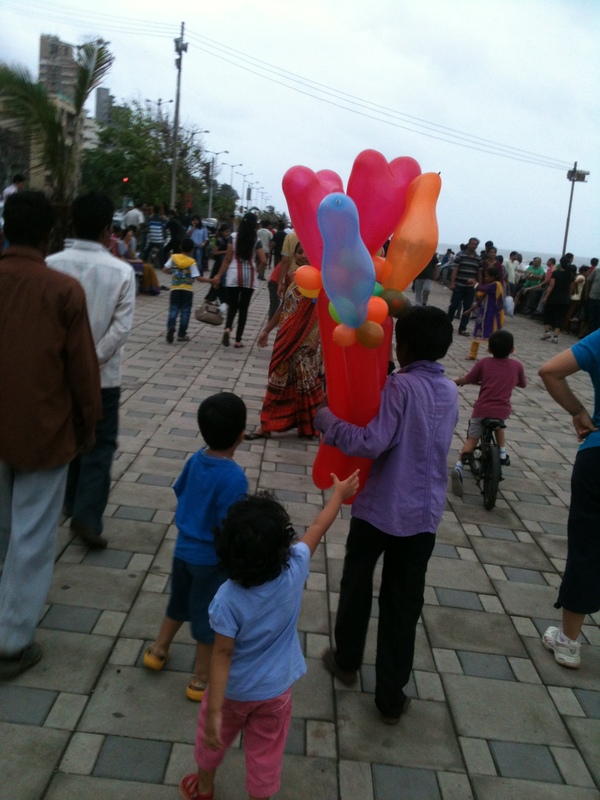 Sometimes the balloons just fly past them…is it meant to entice the little ones. Do they also have to destress? Or is it an all party meeting? All in all this is a place where everyone in Mumbai must have gone. No entry fees, no parking hassles, no timings….this is open to all!